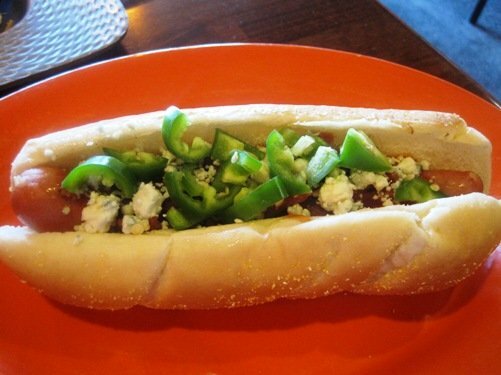 Here’s the thing about hot dogs – they can be hit or miss. And when they miss, they usually miss big and you spend the next several hours extremely annoyed that the dog wasn’t just right. Such is not the case with hot dogs from Hawg Dawgs in Valley Springs, CA. Not only are they a hit every time, you’re very likely to find yourself raving about how great they are for hours after. At least that has been the case on our visits to the restaurant. Our friends tell us the steaks and burgers and really good too, but so far we can’t seem to tear ourselves away from the hot dogs. 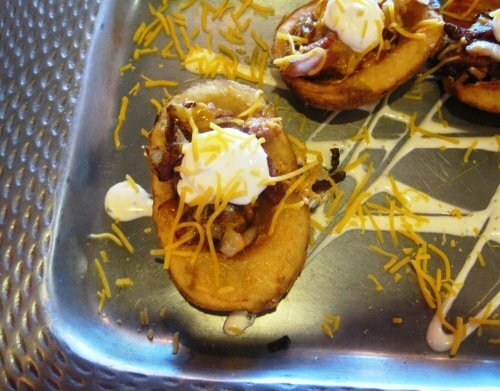 Side Note: The potato skin appetizer is pretty darn good as well. The bacon is actual bacon that they cooked and chopped up – not just a few measly bacon-bits poured from a grocery store spice jar. So what makes the meat and dogs at Hawg Dawgs stand above the rest? While the orange walls and eclectic biker/pirate décor lends to a great atmosphere, it’s the preparation and cooking of the food that’s at the heart of the establishment. The steaks are local and fresh, with the hamburger hand prepared from beginning to end, and the sausages are made on site. There’s no over-processed meat from the corner store at this place! You really can taste the difference. As I mentioned before, we’ve only tried hog dogs, so I will speak to those. 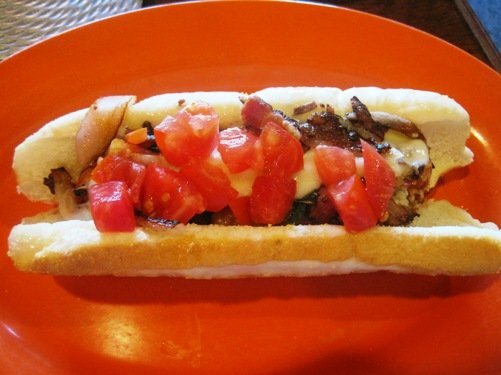 The menu is extensive, with their all-beef dogs featuring all sorts of toppings including smoked bacon, a variety of cheeses, chili, perfectly grilled onions, barbeque sauce, jalapeño peppers, and so much more! Many of the dogs are available with a casing or without. I’ve never tried the un-cased ones, as I really enjoy the initial snap when you take the first bite. The next time you’re in Valley Springs, or simply driving through and need a place to stop and eat, I highly recommend Hawg Dawgs! 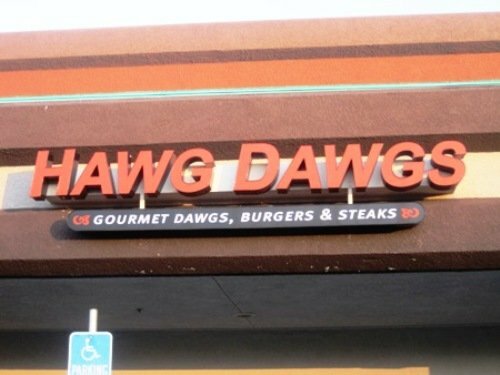 Have you been to Hawg Dawgs? What do you think of their hot dogs? 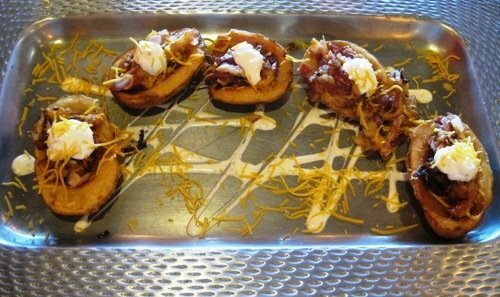 Have you tried the un-cased ones? What about their other menu items? Let us know in the comments! We’d love to hear from you! This entry was posted on Wednesday, August 24th, 2011 at 11:56 AM	and is filed under Nearby Attractions. Both comments and pings are currently closed.